Το Blue Lake Homestay, που βρίσκεται στη Καμ Χα, είναι το ιδανικό σημείο αναχώρησης για τις εκδρομές σας στη Hoi An. Το ξενοδοχείο δεν απέχει πολύ από το κέντρο της πόλης: μόλις 01km, και συνήθως χρειάζεται περίπου 40 λεπτά για να φτάσετε στο αεροδρόμιο. Με την βολική του τοποθεσία, το ξενοδοχείο προσφέρει εύκολη πρόσβαση στους προορισμούς της πόλης που πρέπει οπωσδήποτε να δείτε. Το Blue Lake Homestay προσφέρει άψογη εξυπηρέτηση και όλες τις βασικές ανέσεις στους ενθουσιώδεις ταξιδιώτες. Οι πελάτες του ξενοδοχείου μπορούν να απολαύσουν υπέροχες δραστηριότητες όπως τα δωρεάν WiFi σε όλα τα δωμάτια, 24ωρη φύλαξη, ημερήσιος καθαρισμός, ταχυδρομική υπηρεσία, υπηρεσία εισιτηρίου. Επιπλέον, όλα τα δωμάτια διαθέτουν ποικιλία ανέσεων. Πολλά από αυτά παρέχουν ακόμη και επίπεδη τηλεόραση, καθρέφτης, ασύρματη σύνδεση internet (δωρεάν), κλιματισμός, υπηρεσία αφύπνισης προκειμένου να ευχαριστήσουν ακόμα και τον πιο απαιτητικό επισκέπτη. Το ξενοδοχείο προσφέρει φανταστικές εγκαταστάσεις, συμπεριλαμβανομένων των κήπος, για να σας βοηθήσουν να χαλαρώσετε μετά από μια γεμάτη δράση μέρα στην πόλη. Έξοχες υπηρεσίες και μια εξαιρετική τοποθεσία κάνουν το Blue Lake Homestay την ιδανική βάση από όπου θα απολαύσετε την παραμονή σας στη Hoi An. 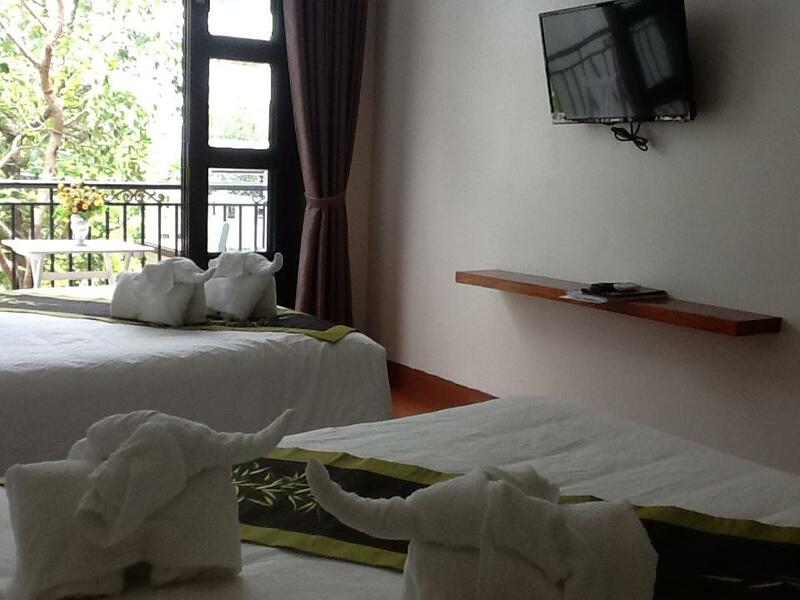 The room was excellent value for money, very clean, staff were friendly and let you use the bikes for free. The street was lovely and peaceful and just a short cycle away from the old town. Would definitely stay here again. Staff spoke very good English and was extremely courteous and helpful. Read a few reviews complaining about the hosts, but I have to say I found them great. They were kind and easy going. They even employed a young lady who ran reception in the day and her English was great . Great value for money. Free bike hire too ! very clean, fresh, cozy, quiet! the bed is very comfortable, we had the best sleep. Very friendly and helpful! it was wonderful! Upon arriving our hosts welcomed us with a cup of tea and some wonderful directions and suggestions on what to do. I remain weary about going to the recommended sites only because of reading other blogs and hearing about kickbacks, but these people seemed very genuine. Rooms were pretty tidy, beds were comfortable enough. The balcony was lovely. I know it’s nothing the guesthouse can control but the humidity in the area is something to remember, especially if you are trying to wash your own clothes and hang them to dry. Overall, lovely place and would stay there again. Nice and clean room. Free bike is a real plus. Ower are kind and helpfull. The owners is so kind and supportive. 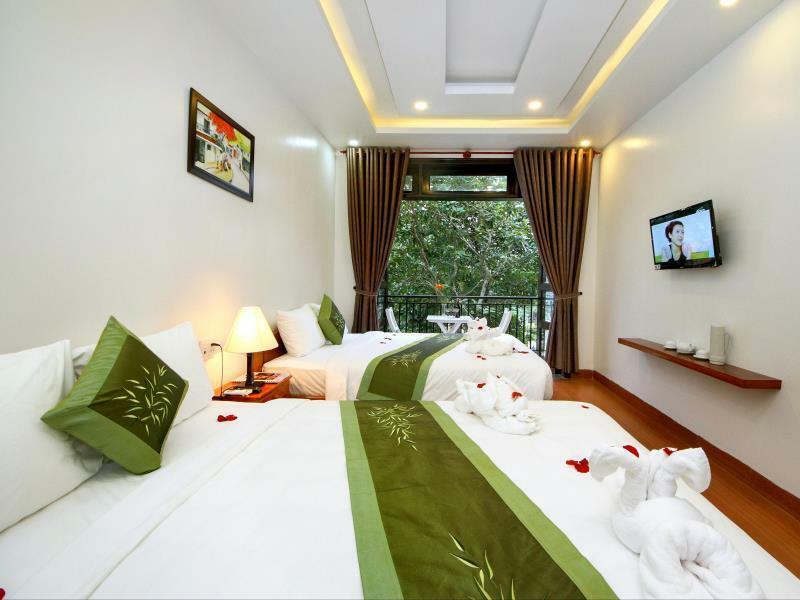 They even help us to find another place to stay for 2 nights (29 & 30/12/2018) in HoiAn because we have to change plan to visit Cu Lao Cham due to weather reason. Although kitchen is not included in the home-stay service but they let us to use during our stay when they know we are in vegetarian diet. It is located in very quiet place and we would book to stay here if we have chance to come back here oneday. 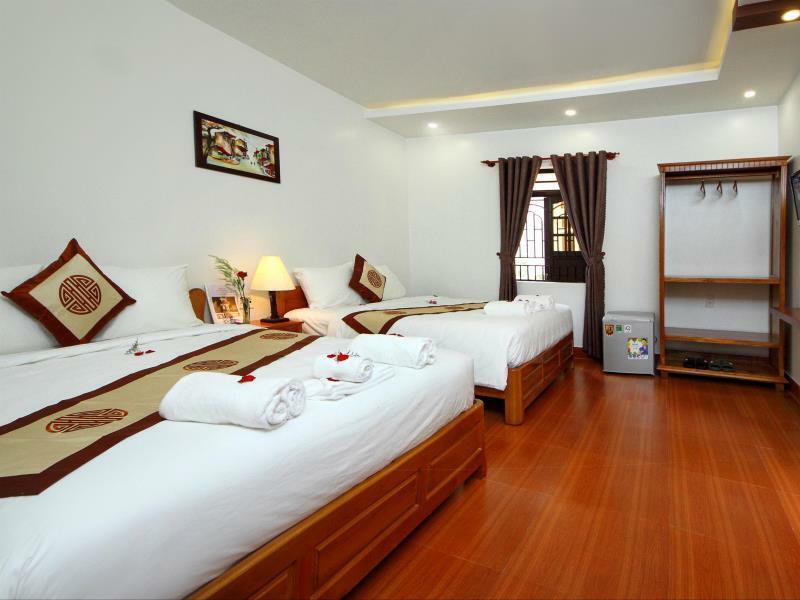 This homestay is very clean, all beds are made with fresh bedsheets and towel is included, the room has air conditioners, very nice! I was lucky, the only guest during my stay, since there is only one bathroom to share, can't imagine when the house is full. The location is away from the Ancient Town, about 1.5 KM, but you can use their bicycle free of charge to get to town, it's a quiet place. The hostel is about 5-10 minutes bike ride to the old town. It's far from the crowded/touristy area, we like it that way. When my flight got delayed for 2 hours, I immediately contacted them to let them know about it as I also booked an airport transfer. It was already past midnight but just a minute after I exited the airport, the driver was already there. Room was very big. They had free bikes that can be used to roam around Hoi An. The whole family was very nice. Too bad we only stayed for two nights as we would love to spend more time with the family and get to know them. 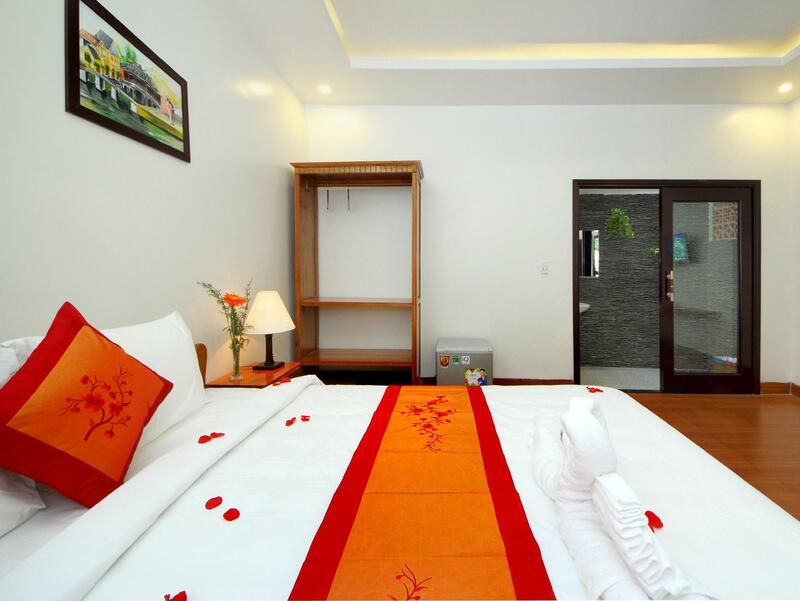 The home stay is a little bit far from Hoi An city center and the Old Quarter, but in quiet area and easy to get to An Bang Beach. Blue Lake homestay was magical. The room was so clean and spacious. The bathroom was great. Loved the location, as it was away from the craziness of old Hoi An and right next to a nice lake. Also, the free bikes they provide made it a breeze getting around Hoi An. The hosts were also extremely friendly! The rooms here were gorgeous! The owners were very welcoming and gave us a map of the area despite their English not being the best. We were able to borrow their bikes for free as well which was an added benefit as we could easily get to both the old town and the beach. I’d definitely recommend staying here! Family operated, very nice people. The hostel is near the local bus station with 10-minute bike to the Old Quarter. Quite a quiet and safe place. 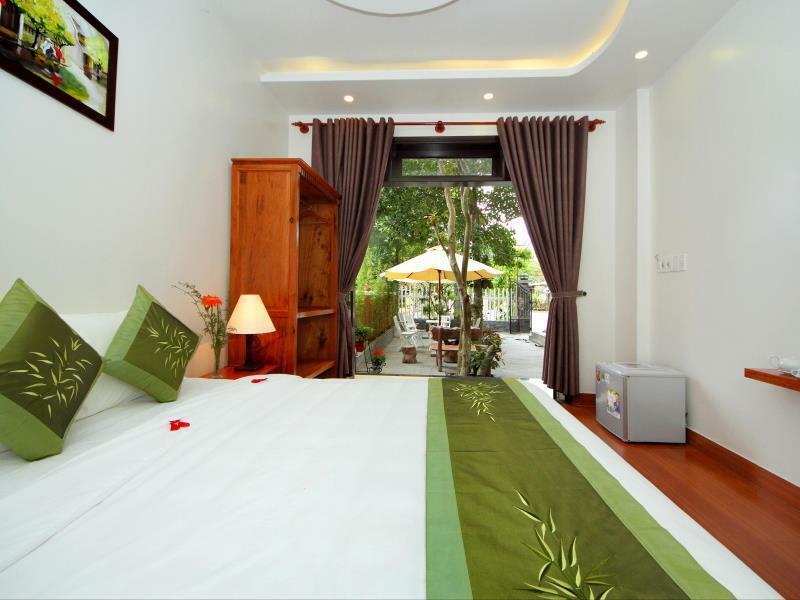 Shuttle bus from Da Nang airport to Hoi An at 100.000 vnd/person is available for reservation. Bed, towels and toilet are clean. Breakfast (2 US dollar) is good. Only one thing to suggest is a locker. The family was friendly and willing to offer help! It was the first time in all my trip I was greeted with a cup of hot tea when I arrived in the hostel in the early morning. The host even took her motor bike to show me the way to buy the breakfast and the beach! Though the location of hostel was not in the old town, the free bike provided the hostel could compensate. It took around 10 mins to the old town by bike. It was one the most valuable experience to ride a bike in Hoi An! The room was clean and neat. The hostel also offered day tour service to My Son and other sight seeing spots. Overall, I would recommend this hostel to those who look for warm hospitality! Σταθμός Λεωφορείων Hoi An στα 0.43 χλμ.